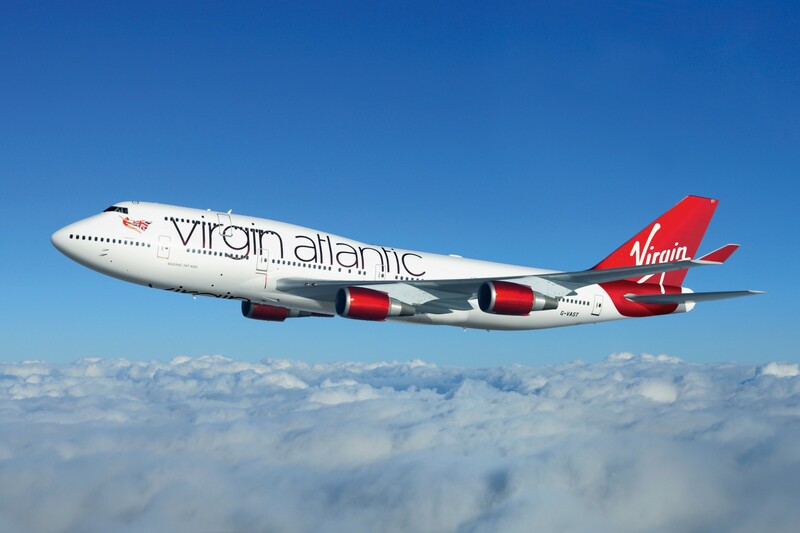 Virgin Atlantic will fly the first commercial flight on recycled waste gas from a steel mill. LanzaTech first converted the gas to ethanol and then, using technology developed by PNNL, upgraded the ethanol to fuel that has been approved for commercial aviation — an alcohol-to-jet synthetic paraffinic kerosene. 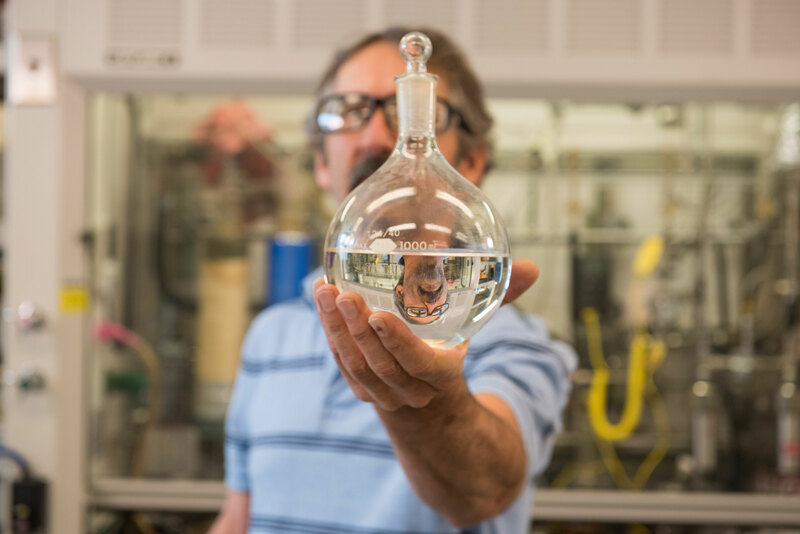 PNNL researcher Rich Hallen helped develop a process that converts ethanol to jet fuel. In partnership with LanzaTech, which produces ethanol from industrial waste emissions, PNNL's catalytic technology helped to produce 4000 gallons of ATJ-SPK fuel, some of which is being used on a Virgin Atlantic commercial flight from Orlando to London. RICHLAND, Wash. — Carbon-rich pollution converted to a jet fuel will power a commercial flight for the first time today. The Virgin Atlantic Airlines' flight from Orlando to London using a Boeing 747 will usher in a new era for low-carbon aviation that has been years in the making. Through a combination of chemistry, biotechnology, engineering and catalysis, the Pacific Northwest National Laboratory and its industrial partner LanzaTech have shown the world that carbon can be recycled and used for commercial flight. LanzaTech, a Chicago-based company, developed a unique carbon recycling technology that operates similarly to traditional fermentation but instead of using sugars and yeast to make alcohol, waste carbon-rich gases, such as those found at industrial manufacturing sites, are converted by bacteria to fuels and chemicals, such as ethanol. The ethanol can be used for a range of low carbon products, including alcohol-to-jet synthetic paraffinic kerosene (ATJ-SPK) which is now eligible to be used in commercial flights at up to 50 percent blends with conventional jet fuel. LanzaTech turned to the catalytic expertise of PNNL, a U.S. Department of Energy National Laboratory, which developed a unique catalytic process and proprietary catalyst to upgrade the ethanol to (ATJ-SPK). The catalyst removes oxygen from the ethanol in the form of water, and then combines the remaining hydrocarbon molecules to form chains large enough for jet fuel without forming aromatics that lead to soot when burned. LanzaTech then scaled up the technology. The ethanol was converted to 4000 gallons of ATJ-SPK at LanzaTech's Freedom Pines facility in Georgia and met all the specifications required for use in commercial aviation. In April 2018, an international standards body approved the ethanol-to-jet fuel pathway for aviation turbine fuel at up to a 50 percent blend ratio with standard, petroleum-based jet fuel based on LanzaTech's Research Report. DOE's Bioenergy Technologies Office has been instrumental in supporting the technology development. With co-funding from BETO, LanzaTech is now preparing a design and engineering package for an ATJ production facility implementing the LanzaTech-PNNL ethanol based ATJ-SPK pathway. LanzaTech's Freedom Pines site is the location of a planned facility which would be able to convert sustainable ethanol to millions of gallons per year of low carbon jet and diesel fuels. "This fuel exceeds the properties of petroleum-based jet fuel in terms of efficiency and burns much cleaner," said John Holladay, PNNL's deputy manager for energy efficiency and renewable energy. "And by recycling carbon already in the environment — in this case waste gas streams — it lets the world keep more petroleum sequestered the ground. The technology not only provides a viable source of sustainable jet fuel but also reduces the amount of carbon dioxide emitted into the atmosphere." "Thanks to collaborative efforts of our friends, partners and governments across both sides of the Atlantic, we are showing the world that carbon capture and utilization is ready today," said Jennifer Holmgren, LanzaTech chief executive officer. "Many people thought recycling waste carbon emissions into jet fuel wasn't possible. We have shown that waste carbon is an opportunity not a liability and that carbon can be reused to provide sustainable benefits for all. Together we can create the carbon future we need." LanzaTech has developed a unique microbial capability that captures and recycles a broad spectrum of gases for fuel and chemical production with over 50 different molecules demonstrated. Proprietary microbes combined with innovative approaches in bioreactor design and process development have enabled rapid scale up to take place. The first commercial unit, converting steel mill waste gases to fuels has started up in China with Shougang and a second is under construction in Belgium with the world's largest steelmaker, ArcelorMittal. Across the supply chain, LanzaTech promotes a "carbon smart" circular economy, where both gas providers and end users can choose to be resource efficient by recycling or "sequestering" carbon into new products rather than making them from fossil reserves. Founded in New Zealand, LanzaTech has raised more than US$250 million from investors including Khosla Ventures, K1W1, Qiming Venture Partners, Petronas, Mitsui, Primetals, China International Capital Corp, Suncor, China International Investment Corporation (CITIC), the New Zealand Superannuation Fund, BASF and Indian Oil Company.